I have been writing about my experiences when making my yearly visit to the Food and Nutrition Conference organized by the Academy of Nutrition and Dietetics (former American Dietetic Association) but what about what is going on right here in Greece? Today is the first day of the yearly congress of the Hellenic Dietetic Association. 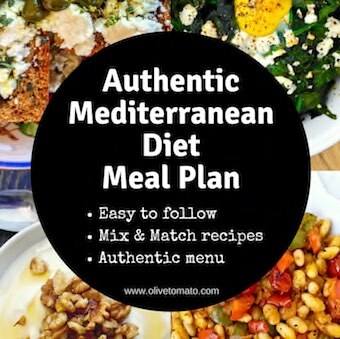 Once again I am reminded of the disconnect that exists between the Mediterranean diet and Greeks and in particular nutrition and food professionals. As I mentioned in a previous post, one of Greece’s most popular chefs known for her Greek food also hosts a show that is called Oreo cookeing, with Oreo as a sponsor. How can this be? 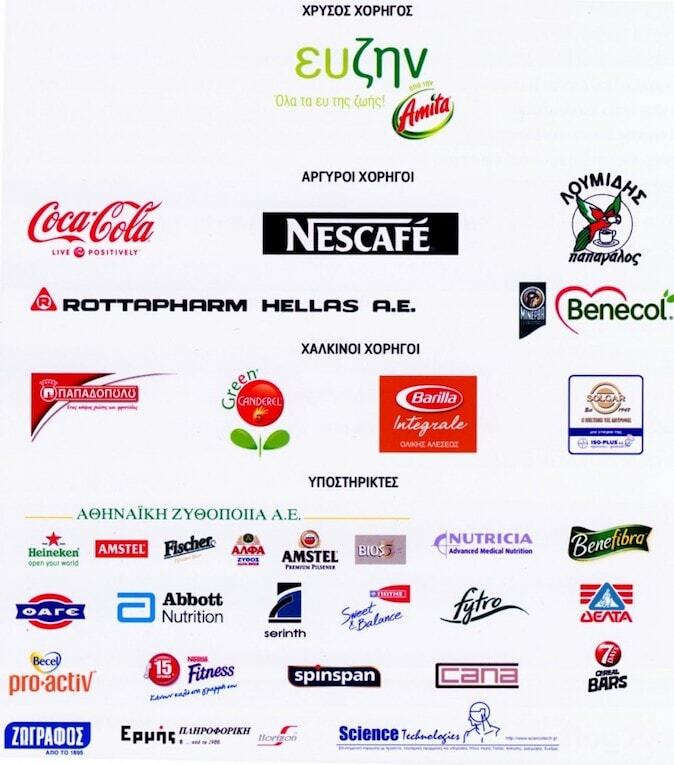 At this nutrition congress there are a number of sessions related to the Greek diet but if we look at all the sponsors (see photo) I only found one that produces something Greek: the Greek coffee company Loumidis. The platinum sponsor for this year is a company known as Dirollo, for those not familiar with them, they make that yellow low fat cheese that Greeks are so crazy about and cottage cheese, both products not associated with the Greek diet. The Gold sponsors are Coca Cola, Becel Pro-activ and Canderel. Now Coca Cola for many reasons which I will not go into here, should not be affiliated with health professional organizations, this has been a huge issue in the U.S. and I believe it will be an issue for other countries as well, you can read some opinions on this in the New York Times and Prevention. Now the other gold sponsors include Canderel, which is a maker of the sugar substitute and Becel, the cholesterol lowering spread. The purpose of my article is not to blame but to figure out this phenomenon. As President of the American Overseas Dietetic Association, I know very well how certain large food companies offer sponsorship very easily to nutrition associations, and it is hard to say no. But that is not the issue, the issue is that there is a disconnect between Nutrition Professionals and the Mediterranean-Greek Diet and this is reflected on their chosen exhibitors and sponsors. Why are there no Greek food product company sponsors? There should be room for both multinational and Greek companies. For example the company that owns Becel here in Greece is Unilever, Unilever Greece also has under its product line Altis and Elais the largest Greek Olive Oil brands (they were bought out by Unilever). Why not have Elais and Altis be sponsors instead of Becel? Yes, yes I know-because the company wants to promote Becel to dietitians, not olive oil. Dietitians then will promote Becel to their clients. And yes, Becel is much more expensive than olive oil. Do dietitians agree? Not all, I know many colleagues who promote the traditional Greek diet, but I also know many who promote many processed products loaded with health claims but really not that healthy. The other issue is that particularly in Greece, dietitians-nutritionists are associated with “diets”, “restriction” “low fat” and the way some dietitians treat their clients it is no wonder, when they recommend sugar substitutes, cholesterol lowering spreads and diet breakfast bars, this may lead to the assumption that nutritionists do not want to learn about the health benefits of wild greens or mastiha for example or the normal use of olive oil within a traditional Greek diet. Or maybe Greek food companies do not see a need to promote their products to nutritionists, so they do not even approach them. Why? They may think that their products are not nutritionally important. 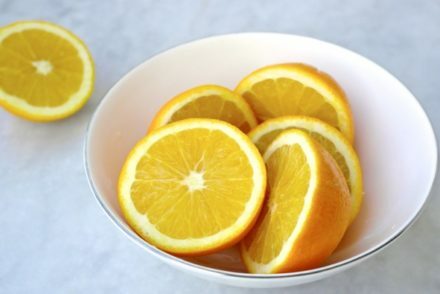 Although I doubt that, because promotion of Greek products is always in one way or another surrounded by its health benefits and the Mediterranean diet, so you would think that nutritionists would be involved. Or maybe they think nutritionists already know the benefits of traditional Greek products and so there is no need to promote it to them. The reality is that many dietitians are not aware of the benefits or details of the traditional Greek diet, it sounds funny but it’s true. They also may consider it old-fashion or just irrelevant to our modern lifestyle. But one thing is for sure, Greece at this time is dealing with obesity, inactivity, financial difficulties, wouldn’t it be to everybody’s benefit if the dietetic community supported and promoted traditional Greek products and the traditional Greek diet rather than promoting (even indirectly through acceptance of sponsorships) expensive processed products? 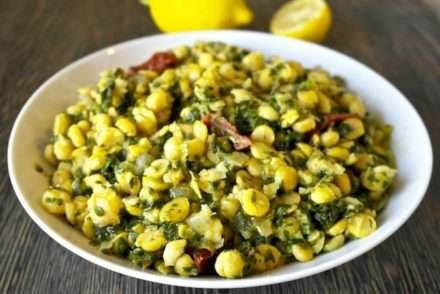 If Greek dietitians and nutritionists do not recommend the Greek diet then who will? Maybe Paula Deen should follow the Mediterranean Diet instead of promoting medications. I love your columns and your philosophy. I would like to help promote the Greek Diet in the States (and in Greece , too!!) I live cooking with natural, Greek products. I am promoting the greek diet in my Nation,family and own life. It really works.